Why Are My Light Bulbs Burning Out So Quickly? We’ve all been there; a light bulb in your home burns out, so you replace it only to have it burn out again before much time has passed. It is a frustrating scenario, but it is also one which many homeowners foolishly allow to continue. If you think that there is nothing you can do about this problem in your home, or that it is simply a quirk of your electrical system, think again. There are a number of different potential reasons as to why the light bulbs in your home are burning out too quickly. To get to the bottom of the issue, consider the information below. If you still have questions, call the Central Connecticut lighting professionals here at Electrical Connection, Inc.
Bulbs are screwed in too tightly: This suggestion may come as a surprise to many homeowners, while others may refuse to accept the fact that it’s been user error all along causing this problem. The fact of the matter is, though, that it is far more common for such a simple problem to lead to frequent bulb burnouts than actual issues with one’s electrical system. If you are screwing your light bulbs in too hard and too far, you may be compromising the connection between the bulb and the fixture. Eventually, you can damage the connection point so much that no light bulb will function properly within that fixture, no matter how correctly installed. 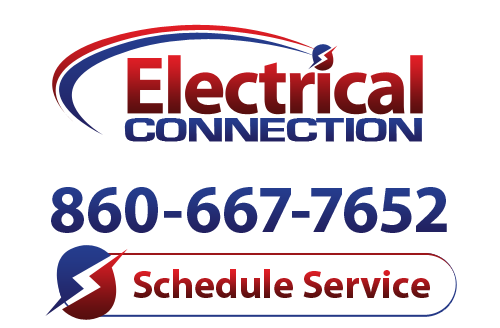 Fixtures are not secure: There are a lot of reasons as to why you must schedule your electrical services in your home with a trained professional. Guaranteeing that your light fixtures are properly installed is just one of them. If your light fixtures are not well secured, they may be subject to excessive vibration. This can lead to bulb burnouts and failures quite easily. Poor wiring work: While not as common as you may think, it is certainly possible that your electrical system is subpar in a way that is allowing for bulb failures. If your wiring is loose or not properly connected, the fluctuation in current through the bulb can certainly damage it. This is precisely the sort of problem that you can avoid entirely, though, by scheduling your lighting services with the professional electricians at Electrical Connection, Inc.